There was a Acura/Honda NSX (right hand steering NSX) and "Nissan Skyline GT-R R32" in School Rumble II. Yeah, I know it's Initial D 2nd Stage, but it's so f**king awesome, I've got to put it in! I practically fainted when I paused and rewound, then played in slow-mo. Shuichi Shigeno, I love you. Hehehe... I just load up every other episode after Fourth Stage episode 7. Miyuki's Private Car is the Toyota Yotahachi (S800). Nakajima got a rare stock 8k tachometer for that car (although aftermarket tachs go higher, Miyuki wanted to retain a stock look). Heh, Midnight, you and your Nana-maru! Is that the only place that it makes an appearence in Initial D? "Nissan Skyline GT-R R32" in School Rumble II. Ermm.. it's a Nissan Skyline GTR R34 (You can tell by the headlights.) Also, there's a Porsche 911. 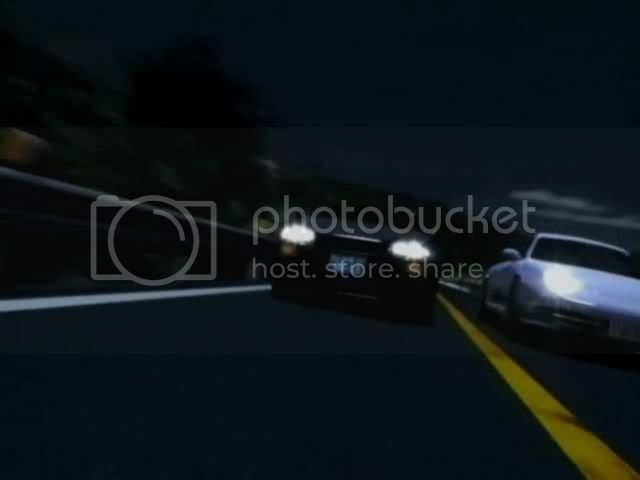 Also, notice that the driver of the Porsche 911... his eye looks a lot similar to Tatsuya Shima from Wangan Midnight. Does the badging have to be obvious, or is it enough if the car is readily recognizable? It's enough if the car is readily recognizeable. Heh... 86 re-appears in School Rumble II! That is indeed a "Ninda" B-block. In a non-descript 4-door car. Cat on a 2004+ Subaru Legacy. 1929 type 38/250 model SSK Mercedes-Benz. Saw what I think is a 1995-2000 Subaru Legacy and a Honda Integra (DC5). GitS SAC SSS - Ford GT, and I think that was a Ferrari 360 right next to it... though it quickly turns into a flat hunk of metal after a tank proceeds to maul it's shinny exterior, barely avoiding the GT might I add. EDIT: Images removed to avoid any trouble from it's distributor. Thread necro here, but I have something thats actually new. roughly translated, "Great Big Magical Mountain Peak"